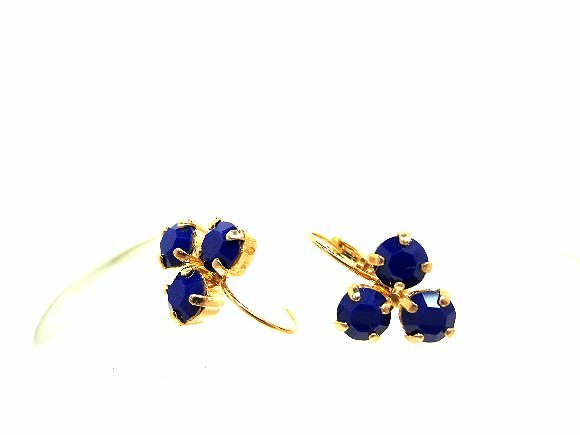 The romantic opaque blue vintage crystal stones in these earrings each measure more than 6mm across. Known in their day as 'navy blue,' they look a lot more like cobalt blue to me. 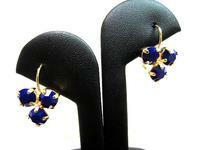 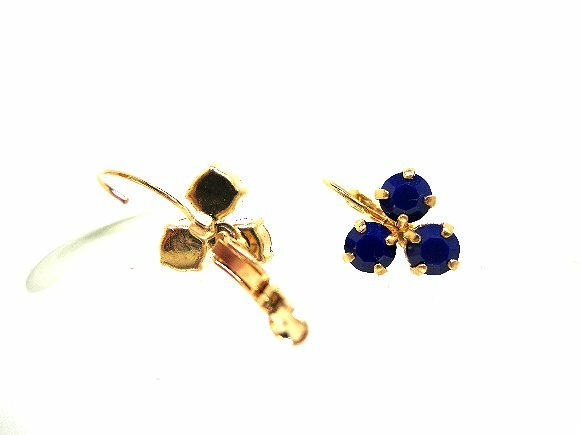 Three stones are securely prong-set in sturdy gold plated brass mountings for each earring. 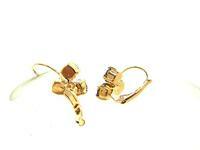 The mounts have been soldered to leverback findings to make a pair of earrings that is distinctive and lovely. I?m listing these earrings in different colors and metal finishes, so if you don?t see what you like, drop me an email to ask about a custom order.